Do Liverpool exist to excite or win trophies? He’s having a pop again. When Jose Mourinho said that the media built up those teams that finished below Manchester United last season as though they were “serial winners”, do you think he meant Liverpool? Einstein might not be needed to decipher. Everybody (within reason) is being terribly upbeat about the Anfield side’s prospects. Apart from Jose. It’s a strange kind of jealousy for a man who keeps reminding everybody that success is truly measured in how many pots you’ve got. The Portuguese had a rare barren year in 2018. Jurgen Klopp hasn’t won a major trophy since 2012. After unleashing £172 million, Jose says: (Liverpool) “have to win.” He might have a point. Even so, on the strength of their summer window and their existing firepower, some pundits actually think the Reds will win the damn title. This is actually getting quite serious. 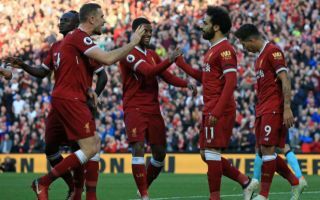 Liverpool might be morphing from the team that provide really good entertainment and thrilling Cup runs to a side that will deliver something concrete. On the face of it, Project Liverpool is a work in progress that is now being fast tracked to something ahead of schedule. When he first sat down in the Anfield hot seat in October 2015, Klopp said: “If I sit here in four years, I am pretty confident we will have one title”. The 50-year-old has laid the foundations at his own pace, but the rebuilding work has considerably quickened over the last 6 months, as has the pulse of the team on the pitch. It’s just that there’s nothing to show for it.. August 2018 is Klopp’s third full year in charge, having seen out the last 30 league games in 2015/16. Brendan Rodgers, another very nearly man, was the first Liverpool manager not to win a trophy in his first three years in charge since the 1950s . He didn’t last long thereafter. Remember how the media were bigging up Brendan when he was on the cusp of the title in 2014 only to spit him out a year later? Klopp’s empty trophy cabinet doesn’t tell the whole story. Liverpool reached the Champions League final in May when not fancied at all, two years after reaching the Europa League final as a much inferior team to the one now. Rodgers never came close to cracking Europe. The continental royalty that Rafa Benitez’s team used to destroy between 2005-9 was fantastic, and something close to those glorious Anfield nights is truly returning. They lost Mane to the African Cup of Nations, Coutinho to injury and only secured one victory in a the month against Plymouth, eventually losing to Wolves in the FA Cup at Anfield. Fans were screaming for a striker (Mo was a Roman), a centre-back (Virgil came to a Thunderbirds Rescue a year later) and a decent keeper (Karius was entering his first disaster zone with mistakes against West Ham and Bournemouth). It was a debilitating period but one that was worth going through to see what must be done to improve the squad. It was only a few months ago that Liverpool barely had eleven fit men standing for the most important games in a decade against Roma and Real Madrid. There was literally nothing on the bench in terms of options. Now that the midfield is reinforced with creativity and solidity in Shaqiri, Fabinho and Keita and long-ternminjuries to Sturridge and Lallana have healed, quality can now be replaced with more quality. This is not something Liverpool fans are used to. In other words, it’s all coming together. That imperfect jigsaw is beginning to take a decent shape. There is always a timer on success at big clubs. This team may be supersonic and box office, but under the former Dortmund boss there have been three hurtful final defeats. Since Gerrard’s final in 2006, near misses have piled up to the point where squeaky bum time means Liverpool will drop their pants first, metaphorically speaking. Wasn’t it former CEO Rick Parry who said that Liverpool “exist to win trophies?” Wasn’t it the legendary triple Championship winner Bill Shankly who insisted that winning was far more important than living or dying? Klopp has now made Liverpool a very attractive proposition. The Reds look like the team most likely to, but until they can make a step by winning something under the heat and lights when conditions are unfavourable then the “non-believers” will always have their say. Shankly’s epitaph was: “He made the people happy”. Klopp knows that the holy trinity between manager, players and supporters is fundamental to the plan. He’s rubbed his dynamic personality onto all those around him. Now he’s got a point to prove that winning really is more important than anything else.